This coming weekend Sailor Moon fans in Texas will be able to meet some of their favourite voice actors from the original English dub of the Sailor Moon anime at Realms Con at the American Bank Center in Corpus Christi. 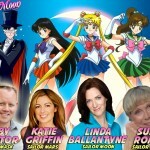 Fans will have a chance to meet Linda Ballantyne, the voice of Sailor Moon, Katie Griffin, the voice of Sailor Mars, Susan Roman, the voice of Sailor Jupiter and Toby Proctor, the voice of Tuxedo Mask. Realms Con is a yearly multimedia convention focusing on anime, comics, gaming and horror. The convention will run Friday to Sunday, September 30th to October 2nd. 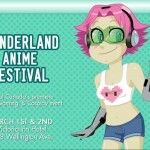 Will any of you be attending this weekend? This entry was posted in Conventions, Voice Actors and tagged Corpus Christi, DiC/Cloverway English Dub, Katie Griffin, Linda Ballantyne, Realms Con, Sailor Jupiter, Sailor Mars, Sailor Moon, Susan Roman, Texas, Toby Proctor, Tuxedo Mask by Adam. Bookmark the permalink. This I gotta see until we reach the fourth season of Sailor Moon Crystal. Expect the 30th is on the weekday not the weekend. Conventions usually run Friday to Sunday. It started yesterday. You do realize that Katie Griffin is also the voice of Ami MIzuno (Sailor Mercury) in the Viz dub of the 90s Sailor Moon, right? 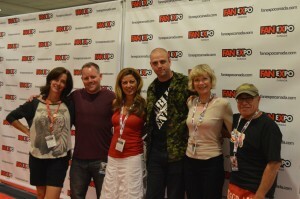 I believe that is Kate Higgins. Just so people know you can now preorder sailor moon super set part one on blu Ray on Amazon now. Sailor Moon S bluray has been confirmed!